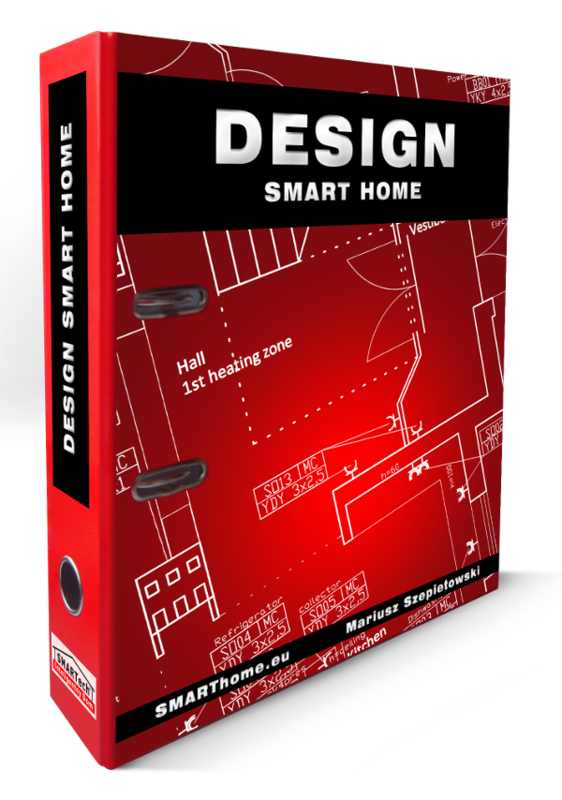 Based on these design plans you can learn how to make other smart home designs and installations. You can also introduce changes to it, to adapt it to your needs. 1270 EUR – this is what a training seminar on the subject would cost, for one person, in a lecture hall. 770 EUR – this would be the price of a DVD with the training course if we were to distribute it in this manner. 570 EUR – this is the estimated value of printed material from the training seminar. 370 EUR 297 EUR – you need to invest only this much in order to receive a ready design with all the necessary documentation. Should you receive a few orders, the invested sum will return to you five-hundred-fold! Apart from this you gain access to this material whenever you should need it, and always when you require it. Saving time and materials thanks to using ready components - this would surely be enough to suggest the design of this smart system specifically to you. But the solution we are offering has got one other advantage that we want to reveal to you right now: quality. 12 years of experience of SMARTech specialists are a warranty that you are using a professionally created documentation. Order it by entering your data into the form, and you will receive the full design plans for the special price of 370 EUR 297 EUR (the price rises with each new addition, present customers will receive all future updates, so it's worth buying quickly for a lower price). Bonus 2: 20 pages describing 14 smart home systems available in Europe, including a table comparing their 36 features in detail. When looking at the features of each system you are sure to instantly see what the real differences between them are, as well as which system will be best for you. The design is delivered in editable AutoCAD or MS Word files. If you would like to access the less expensive version in PDF files (not editable), go to the site offering the not editable version of the design.